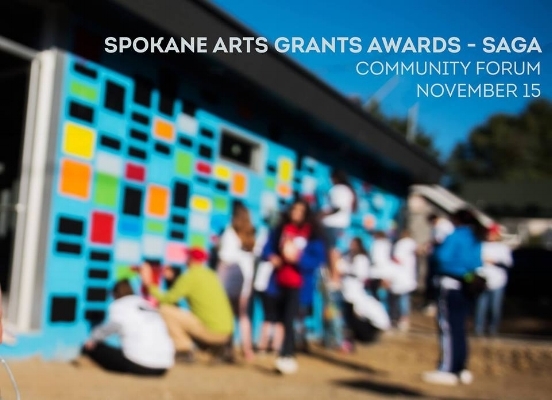 Spokane Arts Grants Awards SAGA seeks to enrich our artistic vitality and cultural vibrancy within our city. To support this overarching mission, SAGA's goal is simple. To serve as a catalyst to foster a robust, healthy arts community where artists, non-profit arts and culture, and creative industries thrive. Together, we can tell the story about how the arts enliven Spokane. The new grants program will begin in January of 2017.